The 3oz. bag that comes in two flavors, Original or Hot & Spicy ($6.69/bag) is packed with 19 gm of filling protein per ounce, has less sodium than most other brands on the market, no added MSG, sugar or nitrates and is gluten-free. The entire ingredients list only consists of six items (Turkey Meat, Tamari Soy Sauce, Water, Garlic Powder, Onion Powder and Red Pepper in the spicy version), but the best part is that you can eat as much as you want, because on the Dukan Diet, dieters can enjoy UNLIMITED amounts of pure protein and vegetables found on the 100 approved foods list! 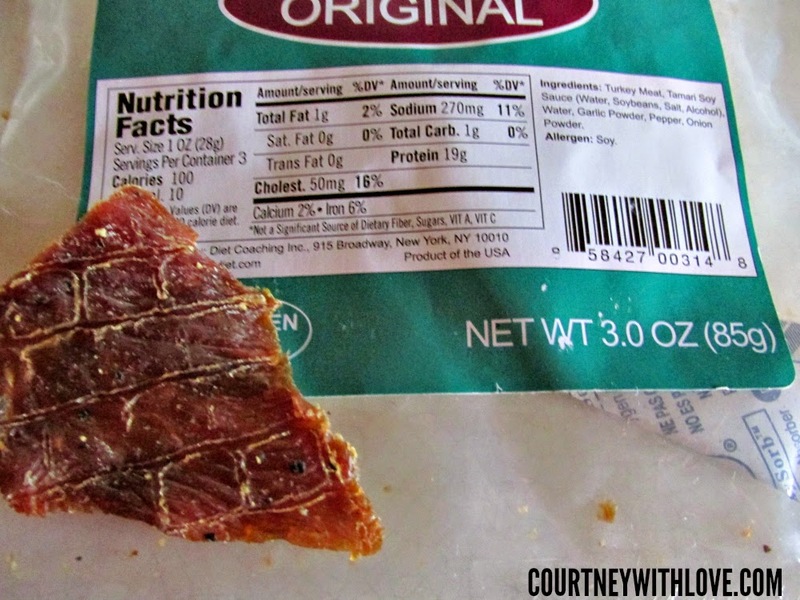 I am a huge fan of beef jerky, and to my surprise, I had never heard of turkey jerky before. I love turkey as it is, but I wasn't sure how well this would hold up being made into jerky. Upon first glance, it looks just like regular beef jerky, and smells very similar. I broke apart a piece and the texture was spot on as well. So next was the taste test. I tried the Original, I am not a fan of spicy or hot things. The flavor was fantastic, on par with some of my favorite beef jerky brands. It had a nice smoky flavor, with a little bit of kick from the pepper. Delicious! I passed this around at a family gathering, and everyone enjoyed it. My family members who are huge jerky fans couldn't believe how amazing the flavor and taste was. It was a hit! 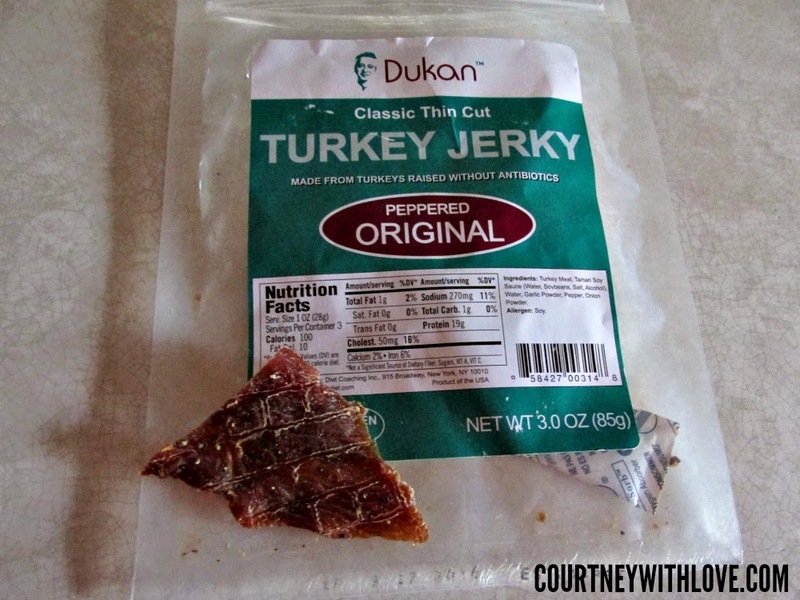 Being that I am watching what I eat, and trying to make better choices, I am definitely very impressed with the Dukan Diet Original Turkey Jerky. It is something that I can add into my diet as a snack, that is good for me, and won't wreck my diet. If you are a jerky fan then you are sure to love this! I was given a pair of glasses complimentary for review purposes via SelectSpecs. All thoughts are 100% my own.